PROVO – Eric Mika and TJ Haws helped BYU men’s basketball roll past Santa Clara 89-59 Thursday night at the Marriott Center to begin West Coast Conference play. Mika led the Cougars with a near double-double consisting of 19 points and nine boards. Haws added 17 points as well as six rebounds and six assists. Steven Beo rounded out the double-digit scoring with 12 while L.J. Rose chipped in across the board with nine points, nine rebounds and four assists. 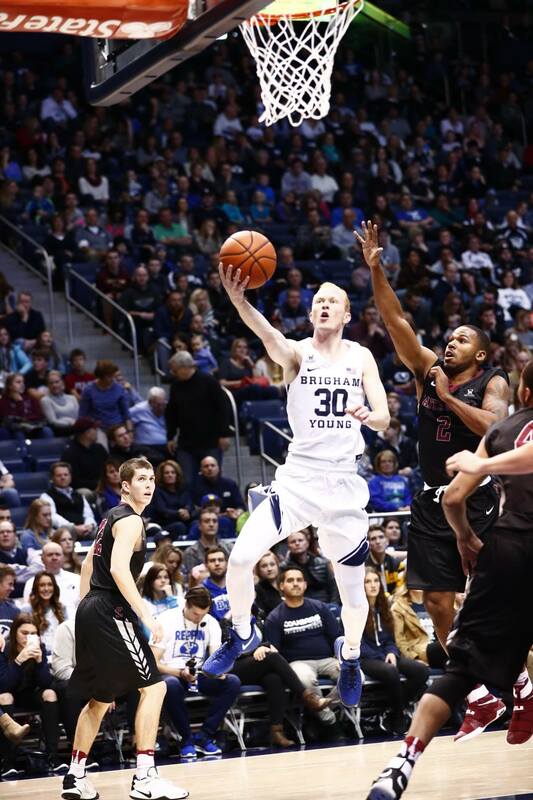 BYU (10-4, 1-0 WCC) outshot Santa Clara (6-8, 0-1 WCC) 53 percent to 30 percent on the night. Additionally, it led in defensive rebounds 38-26 and points in the paint 34-20. Mika got the Cougars’ first two buckets of the game, helping to open up a 9-3 lead early on. A pair of Bronco 3-pointers, however, brought them back within three, down 12-9. 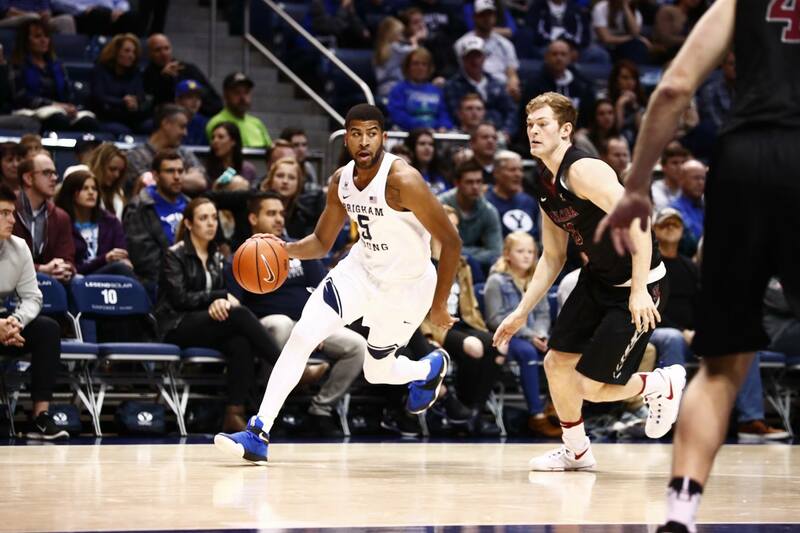 A pair of Jamal Aytes’ buckets around the rim helped propel BYU to an 18-9 advantage, forcing a Santa Clara timeout. Beo made the first Cougar 3-pointer of the night with eight minutes remaining in the half to extend the lead to 16 at 27-11. BYU continued to roll from there, as a Yoeli Childs jumper brought the Cougars ahead 39-16. Poor shooting plagued the Broncos throughout the half as BYU took a 44-26 lead heading into halftime. After the break, a Haws trey and 3-point play made it a 23-point advantage, 53-30. Another Haws 3-pointer, followed by one from Beo, extended the lead to 64-36, and a Mika bucket made it a 30-point game at 68-38. Braiden Shaw made a put-back jumper to extend the score to 79-46 with under five minutes to play. After the game, Dave Rose’s thoughts turned to the passing of BYU legendary football coach LaVell Edwards. BYU hits the road next, facing Loyola Marymount Saturday, Dec. 31, at 1 p.m. PST. The game will be televised live on ROOT RM. The game will also be broadcast on the Cougar IMG Sports Network, KSL 1160 AM/102.7 FM and BYU Radio – Sirius XM 143.